I always use this example because it's such a good one! 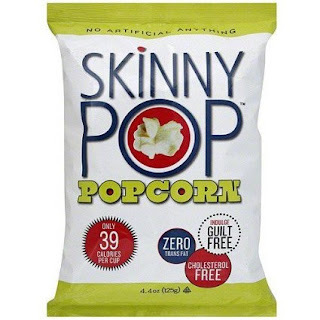 You would think by the front of the Skinny Pop package that you are getting a perfectly healthy snack. It says it's only 39 calories per cup, zero trans fat, cholesterol free, no artificial anything, and even GUILT FREE! On the back it adds that it is nut-free, dairy free, gluten free, preservative free, non GMO, a good source of fiber, and DELICIOUS! Not so fast there, Partner! When you read the back of the bag, you quickly find out the truth. 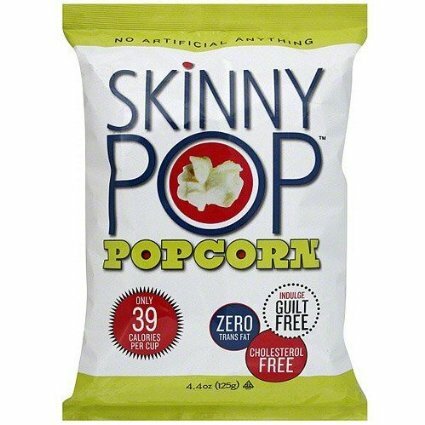 3 3/4 cups of Skinny Pop contain 150 calories of which 80 of those calories are FAT. That means that Skinny Pop is comprised of 53.33% FAT. How could that possibly be GUILT FREE or HEALTHY? It is IMPERATIVE that you learn to read labels. NEVER trust the front of a label. 1) Consider the ingredients. Don't buy products that have ingredients you can't pronounce, sound like they belong in a science lab, or cannot be purchased at your local grocery store. 2) Calculate the percentage of fat. You would be shocked at how much oil is added to packaged foods so people will enjoy them. I don't know about you, but I don't need anymore fat on my body. As Dr. McDougall always says, "The fat you eat is the fat you wear!"